Despair. Destruction. Death. Words that have come to describe the Syrian city of Aleppo, epicenter for the Syrian civil war. Anti-government rebels started taking parts of Aleppo in early 2012, eventually controlling the eastern half of the historic city. With the help of Russian air strikes starting in 2015, forces loyal to President Bashir al-Assad made gains in western Aleppo. Now, with the evacuation of rebels and civilians in progress under a tenuous ceasefire, those pro-Assad forces on the precipice of controlling the entire city. 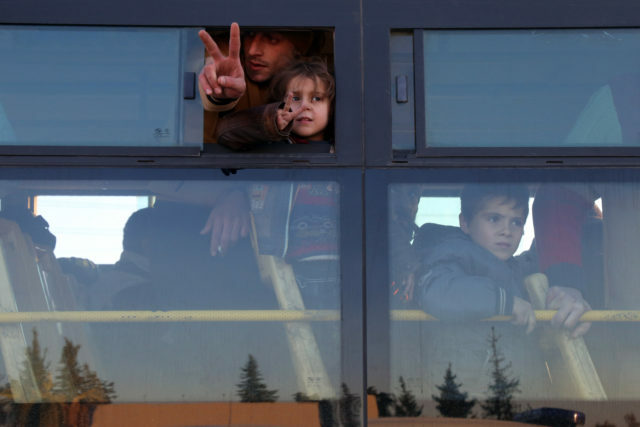 Estimates of the death toll in Syria’s civil war run as high as 450,000, including 50,000 children. Almost five million people have fled the country and more than six-and-a-half million are displaced within Syria’s borders. How has the rest of the world let this happen? 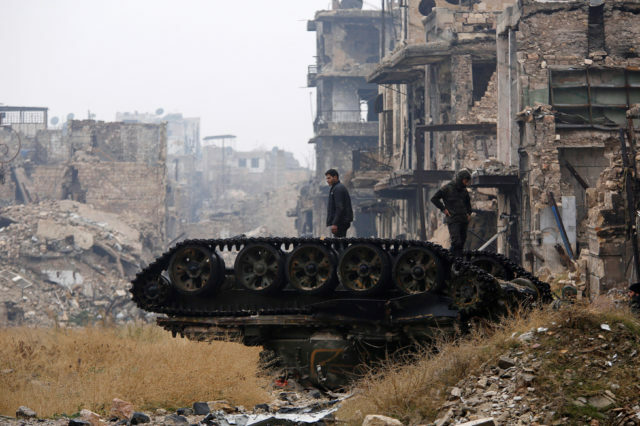 The siege of Aleppo has come to symbolize the Syrian civil war’s numbing brutality….Assad clearly shoulders the primary blame for this, but Russia bears a load as well…. The usual place to seek resolution to such conflicts is the U.N. Security Council. But each of the five permanent members has a veto, which means that Russia has been able to block the council from even condemning the atrocities in Syria, much less imposing sanctions or other measures….So where does that leave those who still hope for peace? 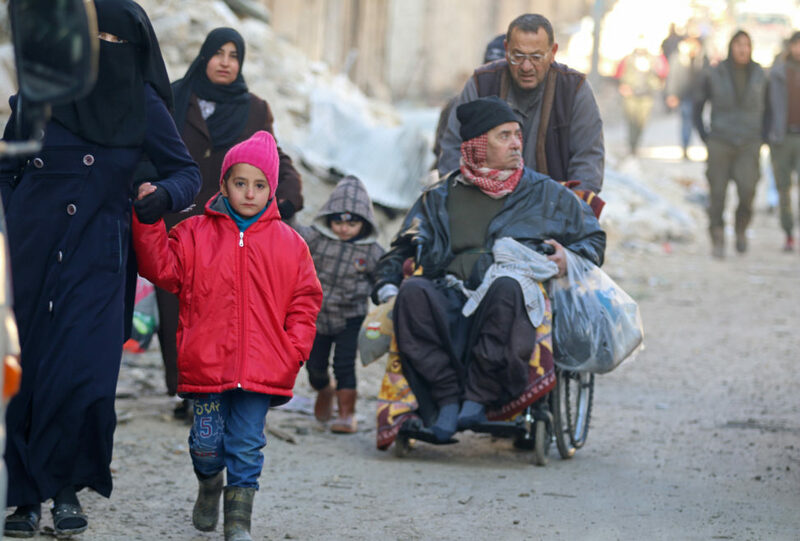 What Comes After Aleppo Falls? The opposition, Russia, Turkey and the United States will continue to negotiate over Aleppo’s fate while Mr. Assad shapes it. One insurgent group told me that rebels were demanding humanitarian aid, an end to bombing, and a guarantee that civilians would be allowed to remain in eastern Aleppo under rebel protection. They will get none of these. Fighters will surrender or be forced to leave. Civilians can follow them into exile or place themselves at the government’s mercy…. Military-age men from rebel-held Aleppo face the direst future. They might be conscripted or executed, or join the tens of thousands starving in Syria’s prisons…. The civilians who stick around are hardly safe; the Syrian government does not distinguish between fighters and those who give them aid, medical care, shelter or news coverage. With the fall of Aleppo to Bashar Assad’s forces, the decisive moment is reached. The humanitarian disaster across the country is so complete that it is time now for all powers to put the Syrian population first. It’s time in particular for American policy to get out the way of Moscow’s brutal intervention, if only because it is too late to stop it. With defeat of the rebels in Aleppo and the Damascus region, Assad, with Russian help, will remain in power, at least until Vladimir Putin decides otherwise. Because Putin doesn’t want Assad, he wants to avoid Syria becoming another Libya in Russia’s neighborhood — an ungoverned, unstable territory open to Islamist intentions. As for the rebels, at a certain point, knowing how to lose a war becomes the most important thing. Why? Because the absolute priority at this point must be to save what can be saved of the Syrian population. In Aleppo, Are We Witnessing the Cost of Looking Away? What Syrian President Bashar al-Assad and the Russians have done is horrific beyond words. But they have been enabled by inaction from the West and its allies. Syrians in Aleppo couldn’t possibly have done anything more to make their wishes clear. They wanted the West to help when Assad butchered protesters; they wanted help when the Russians joined in with the bombing, and as a last lifeline, they wanted the West to provide humanitarian aid. There have been plenty of opportunities to step in. But time and time again, the free world has looked away. In Syria, there haven’t been any good options for a long time. But the international community, led full force by the United States, has picked the worst option at every turn. A “moderate” Syrian opposition was always more hope than reality, but now it is a complete mirage…. This is a major humiliation for the United States, which backed the rebels, and a major victory for its geopolitical antagonists, Russia and Iran, which back the Assad regime. In other words, Russia defeated the U.S.